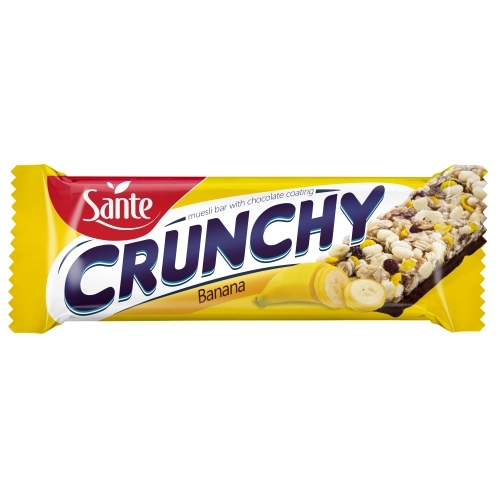 Crunchy bar with nuts and almonds is a grain product based on oat flakes with maize grits, in a delicious creamy coating. 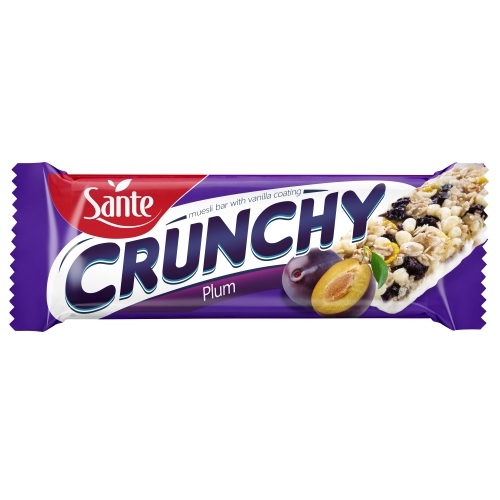 It is a rich source of complex cereal carbohydrates with a high fibre content. White sugar in the Crunchy bar has been replaced with aromatic cane sugar. 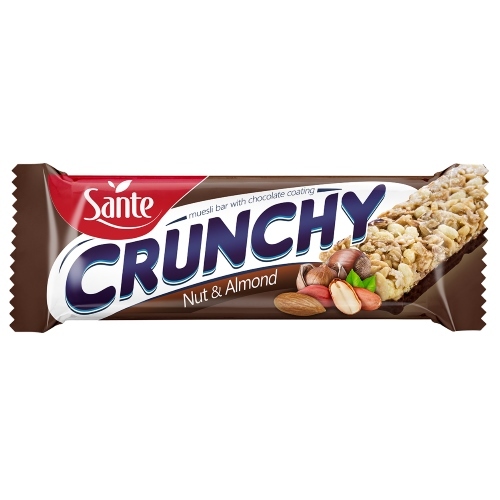 The Crunchy Bar with nuts and almonds is a tasty snack for every day, to be eaten at work, at school or in travel. 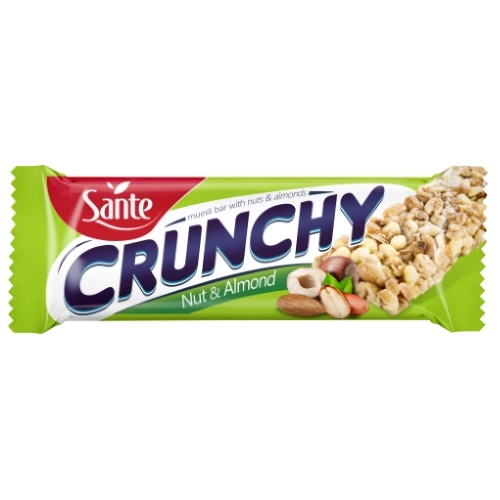 Nuts 36,5% (peanuts, hazelnuts, almonds 2,5%), glucose syrup, derived from cereals 24% (oat flakes, corn flour, rice flour), non hydrogenated palm fat*, humectant: sorbitols; unrefined cane sugar, flavouring, emulsifier: lecithins (soy); sea salt.